Frederik February 25, 2016 Comment? 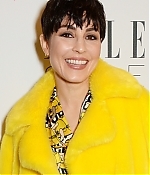 Within the last couple of days, Noomi has been out and about at a lot of parties, functions and award shows. 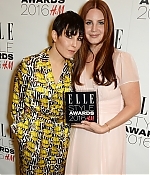 Starting with last week’s Berlin Film Festival to the London Fashion Week, the Elle Style Awards to yesterday’s Brit Awards. Pictures from all recent appearances have been added to the photo gallery. For a complete list, have a look at the previews below.